My youngest daughter and I were at Petrosains, The Discovery Centre yesterday to be the first few to watch the preview of Miles from Tomorrowland. 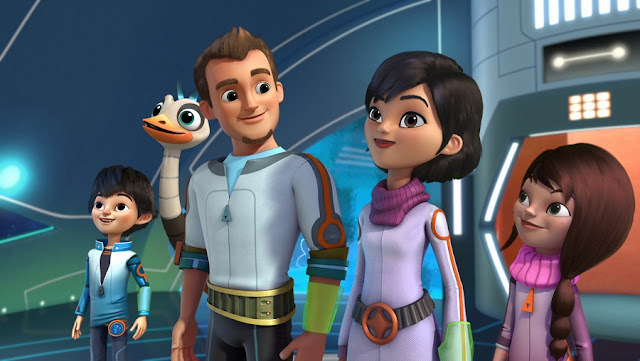 For your information, Disney Junior's "Miles from Tomorrowland," is an intergalactic adventure series that will blast off on 17 August at 9am on Disney Junior (Astro Channel 613). 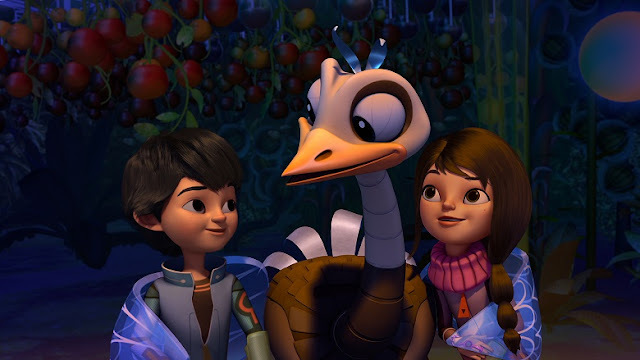 This 'Superstellar', intergalactic adventure charts the outer space missions of young adventurer Miles Callisto and his family – mom and ship captain, Phoebe (yup.... Mommy is the boss here....); mechanical engineer dad, Leo; tech-savvy big sister, Loretta; and robo-ostrich pet, Merc – as they help connect the universe on behalf of the Tomorrowland Transit Authority. Each of this episodes features two 11-minute action-packed stories as Miles, Merc and the Callisto family explore wondrous and diverse new worlds, taking young viewers and their families on a futuristic journey that fuels kids’ natural interest in space, and at the same time reminding them of the importance of what lies close to home – the family bond. Listen up!!! There is a contest going on as well to score some amazing limited edition goodies from Disney!!! 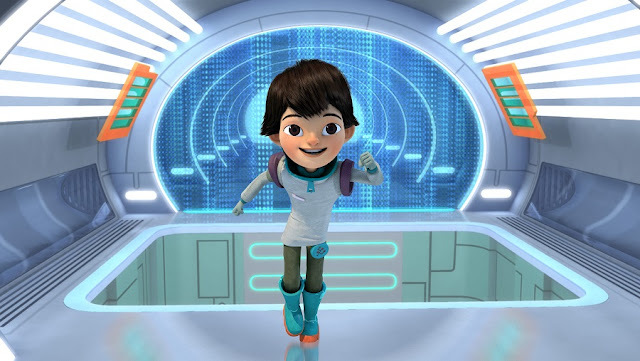 Parents and kids have to just visit the website - Disneyjunior.asia - and download the Miles from Tomorrowland Space Adventurer E-kit which not only features fun activity sheets but also a step by step guide on how to create the Starjetter. The most creative photo entries of the Starjetter submitted will win the title of “Disney Junior’s Space Adventurers” and be featured on the channel. This competition is now on until to 14 August 2015, so hurry, and help your little ones build their Starjetter and submit it to Disney Junior Asia's website !!! 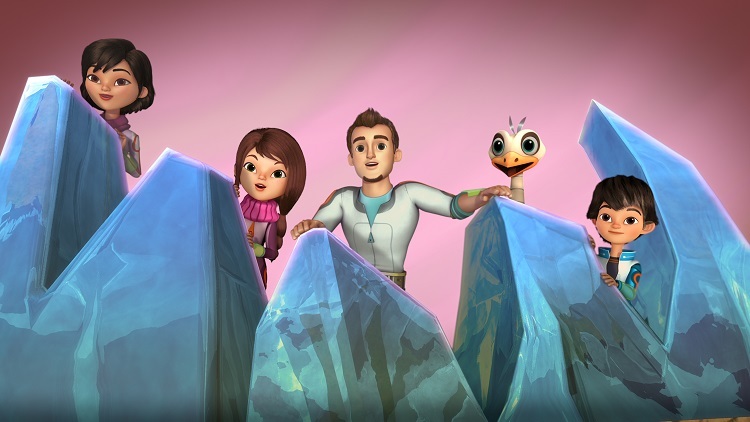 In anticipation of the series launch, the search is on for Disney Junior’s Space Adventurers across Southeast Asia! Kids aged 2-7 are encouraged to create their very own Starjetter - an exploratory spaceship that the Callisto family use for their short space trips. Families in Malaysia may head down to Petrosains, The Discovery Centre at Level 4, Suria KLCC from 1 August 2015 to check out special Miles from Tomorrowland-themed activities! .......and even a “Mars Rover” replica of NASA’s Mars Rover that can be programmed to roam over simulated Martian landscape in search of signs of life on Mars. So hey, don't forget to catch Disney Junior's "Miles from Tomorrowland," from the 17 August at 9am on Disney Junior (Astro Channel 613). It will be aired every Monday at 9am!!!! Oh My Goat- Come Baaack!! Do not miss the MALAYSIA IT Fair!!!! Be a kid again with KidZania's Back2Kidz day!! !